I am fairly sure that “Streets Of India” is something that has made its way to your newsfeed a good number of times already. So let me tell you a little more about it. 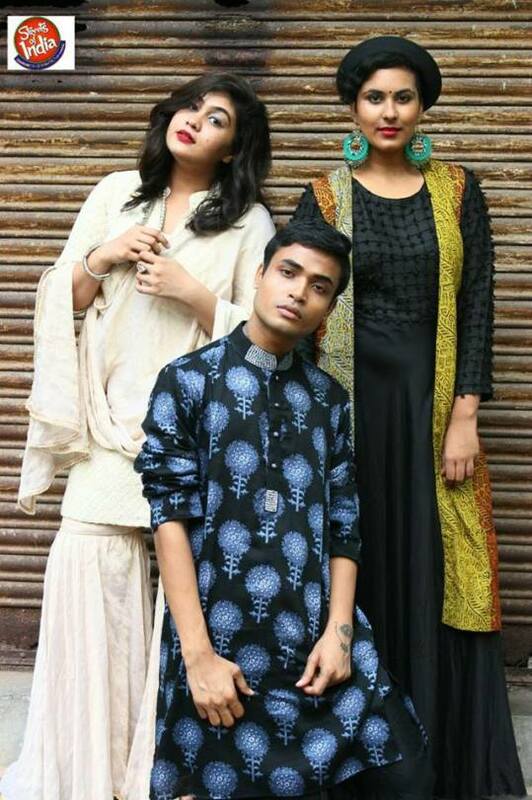 Streets Of India is basically a three-day festival in itself, curating the best in fashion, food and art spanning across India at Swabhumi from the 11th to 13th of November. 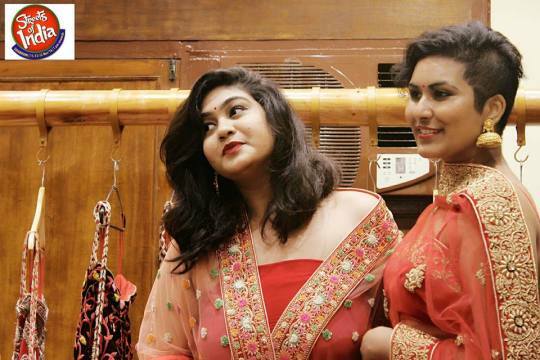 As a part of this event, we bloggers had the opportunity to don some gorgeous outfits by designers who will be showcasing at the event. 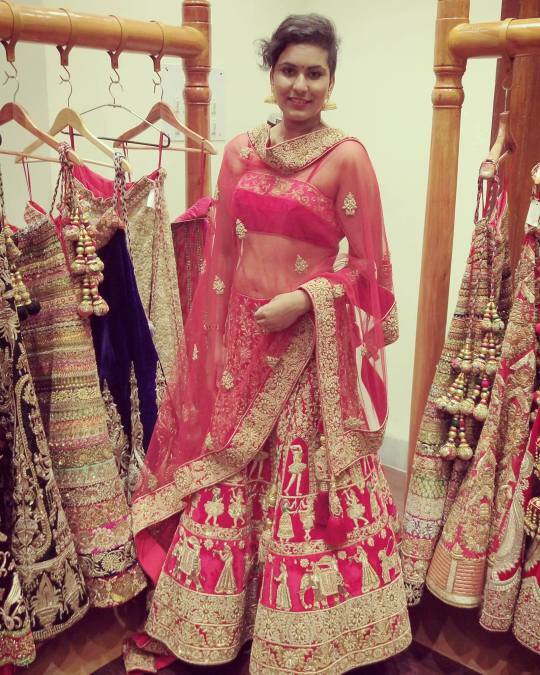 My first look was a Bridal Lehenga from Moha Atelier packed with a lot of oomph! 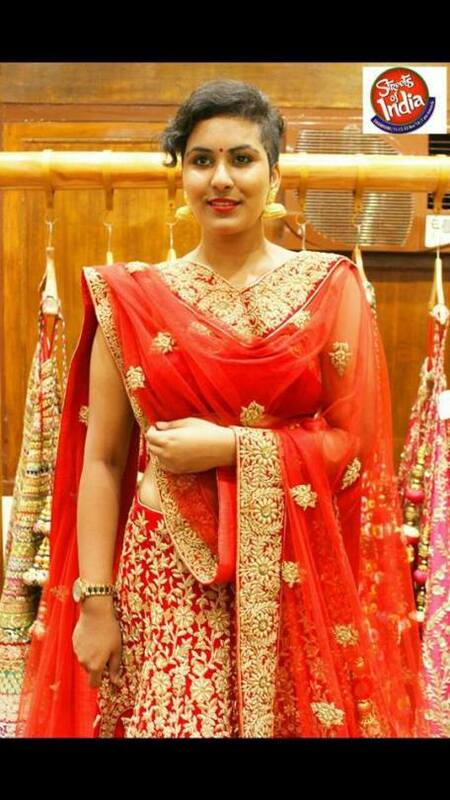 The colour red speaks bridal like no other colour. And you know the most interesting part about this outfit? Well, read on! The Lehenga skirt is covered with Zardosi Work depicting the entire Rasleela. 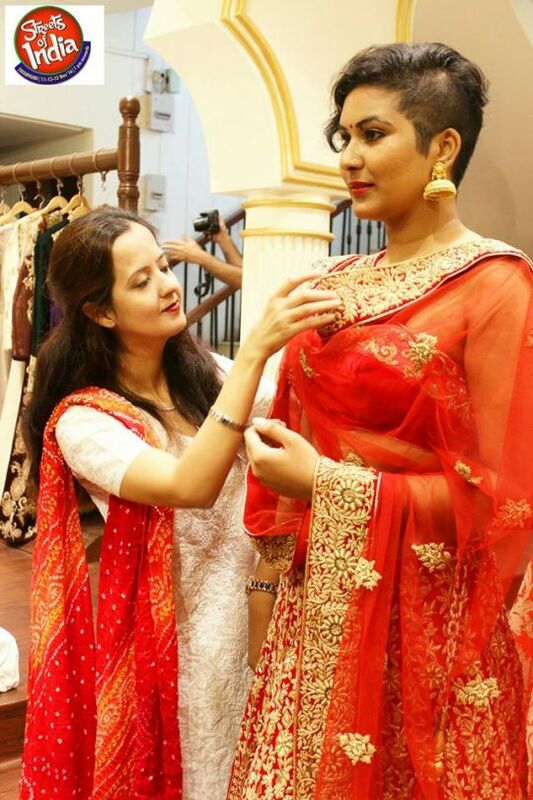 And wait, it took about 2100 man hours to complete this lehenga! Majestic, isn’t it? 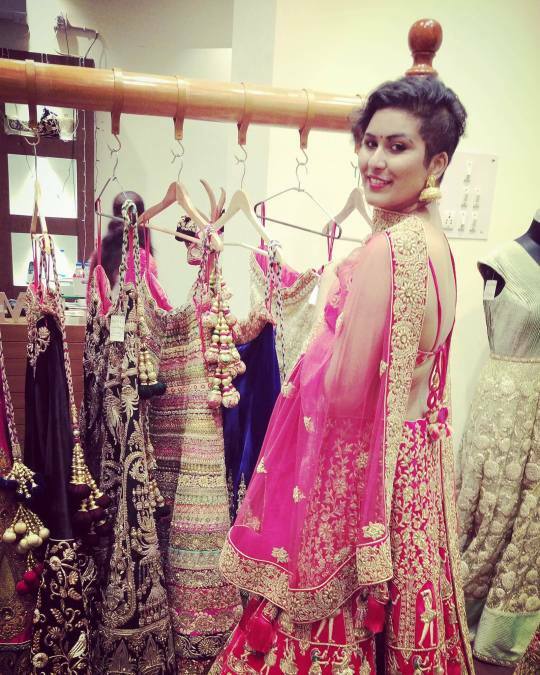 The Spaghetti, backless choli adds so much oomph to the otherwise traditional lehenga. 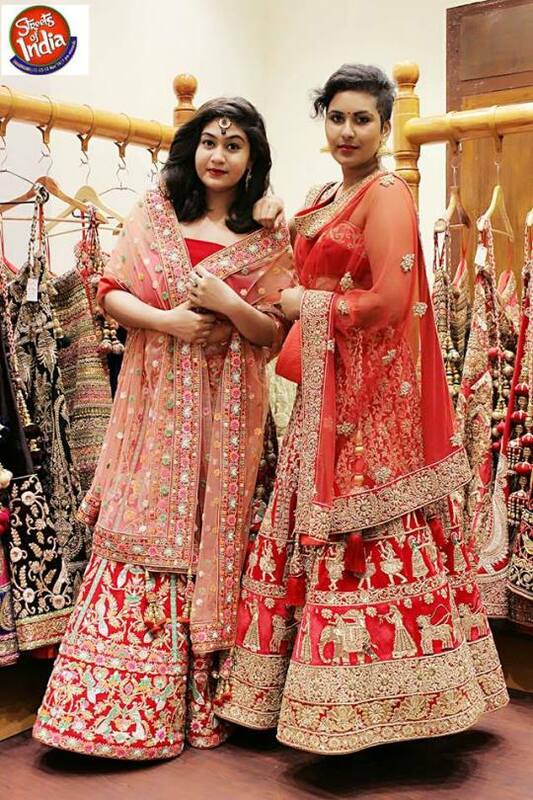 I was also accompanied by Vedika of The Fit Misfits who sported another gorgeous Lehenga from the same house. 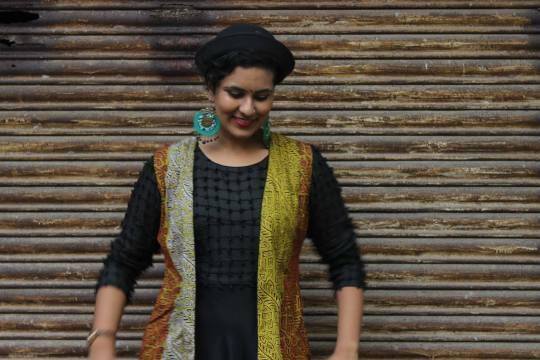 Moving on, the second designer we shot with was Sudeep Sharma and his label is called Kafkaa. His collection can be best defined as Indie. 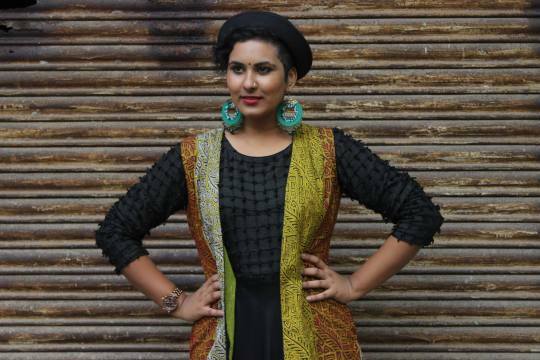 I slipped into a black gown and made things quirky by adding another slit Kantha work jacket. To make the look more ME,I threw on a bowler hat and a pair of massive earrings. 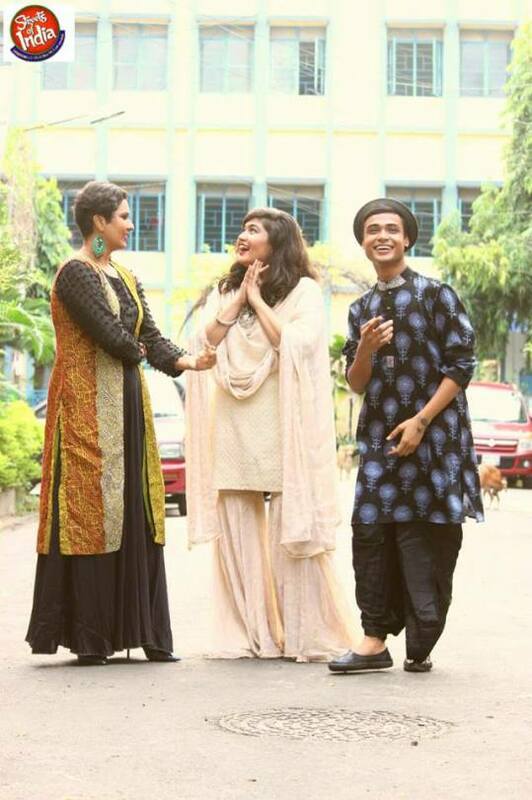 For this shoot I was accompanied by bloggers Suman Airish Barik and Vedika again, who wore a Kurta and Dhoti Set, and a Kurta and Sharara set respectively, by Sudeep itself. We had a complete blast being ourselves and doing this shoot! 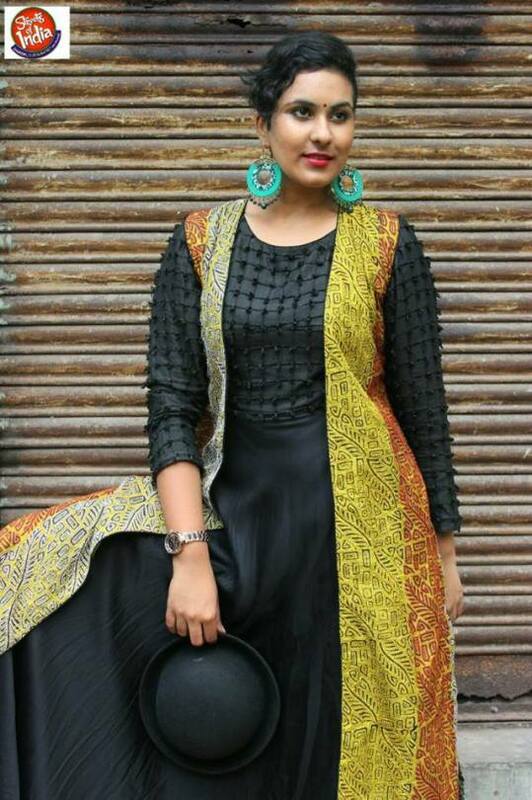 I have to admit, the whole Kantha Jacket addition to a slightly western gown adds so much more character to the entire look. The best part about the look is that, if you want to attend a night event, you can simply skip the jacket and keep the black gown on! Win-win! 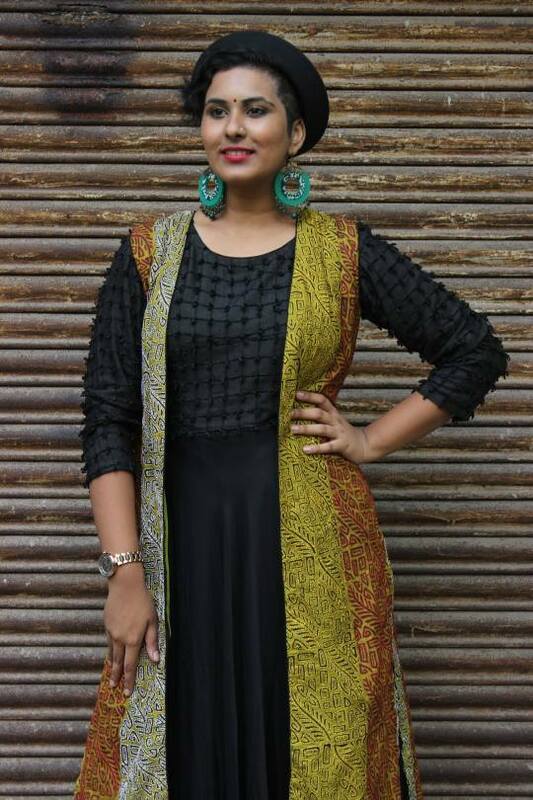 You can grab your hands on Moha Atelier’s and Sudeep Sharma’s collection at the Streets Of India. Would absolutely love to hear which look do you like better on me? 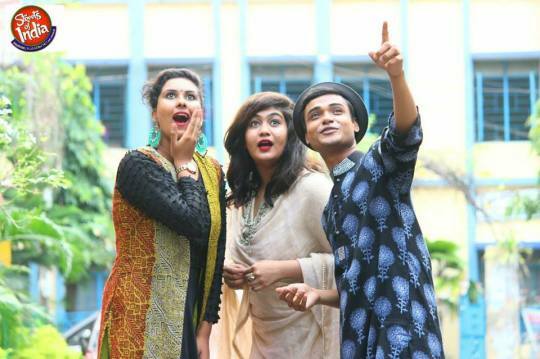 And hope to see you all at Streets Of India from 11 to 13th November at Swabhumi, Kolkata from 1 pm onwards.